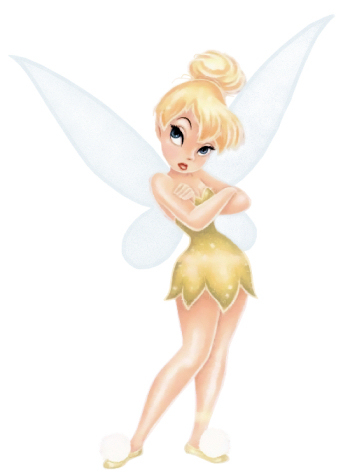 My love of Disney started at a young age when I would lose myself in the absolute magic of the wonderful stories found in Disney; some of my all-time favorites include The Little Mermaid, Robin Hood, Toy Story, The Lion King and Alice in Wonderland. These stories sparked a profound sense of wonder and excitement in me and like all great stories, introduced me to a world of big dreams and countless adventures. As a creative writing and a English lit teacher, I have always believed in the power of storytelling; and as mother of two young boys, I have thoroughly enjoyed sharing these timeless tales with them and watching them discover the magic of all things Disney, whether it be scaling the braided ropes on Tom Sawyer’s island, stepping on Main Street and going back in time, watching the fireworks explode into dreams over Cinderella's castle, dancing to the colorful birds chirping in the Enchanted Tiki Room, giving Buzz Lightyear an excited hug or simply falling asleep to us reading them classic Disney tales. I have always found joy in the discovery and adventure that comes from travel. My experience based approach to travel allows you and your family to create life long memories by eliminating the stress of vacation planning and allowing you to focus on what matters—the experience and the magic. As an organized and experienced traveler, I look forward to sharing travel tips and recommendations with you, whether that be where to get the best ice cream in the parks, what attractions are favorites for toddlers, what time of day is best to ride Splash Mountain or which Disney shows are a must see for all ages. 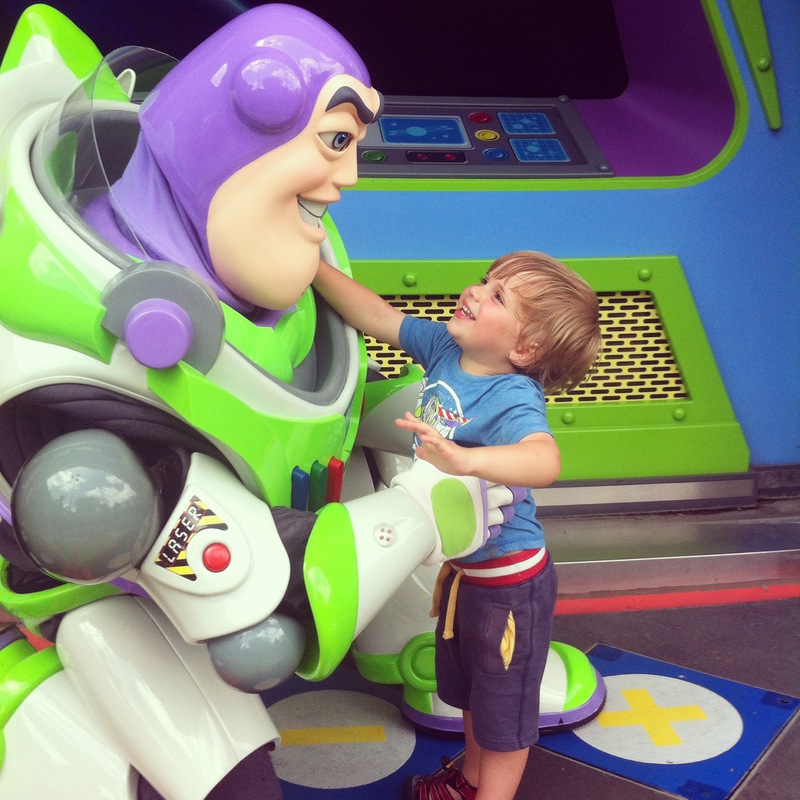 I would be happy to assist in helping make your Disney vacation truly special. I know how magical a Disney vacation can be for all ages, and want to share my expertise and knowledge of planning a Disney vacation with you. As a Disney College of Knowledge graduate, an experienced Disney traveler, and a Magical Vacations specialist, I look forward to helping make your Disney vacation spectacular. I specialize in planning for all types of Disney travelers from the youngest of Mouseketeers, to the bright eyed honeymooners, to the most seasoned of Disney veterans. I can facilitate lodging, tickets, air travel/transportation, Magic Bands, dining reservations, Fast Passes, special events, travel tips and more whether you are traveling to Walt Disney World, Disneyland, Disney’s resort Aulani in Hawaii, embarking on a Disney cruise or with Adventures by Disney. My services are completely free and I will make your vacation planning a stress free experience. Contact me for a quote today – the magic of Disney awaits you! Make sure to put SUSAN K in the agent request box! 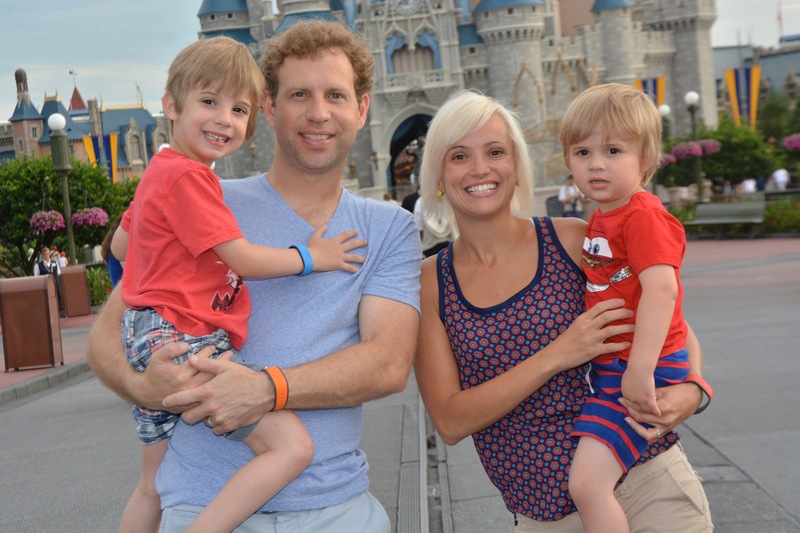 Our family of five took our first trip to Disney World in June, and it was unforgettable. The travel plans, resort accommodations, meals, park tickets, and ride reservations were all handled by our agent, Sue, so all we had to worry about was creating magical memories as a family. My husband and I had not been to Disney since we were kids, so it was very appealing to have a Disney expert coordinate our trip and make sure we were able to maximize our time and do everything on our list. Sue made sure our oldest daughter got to meet Rapunzel, that our son who loves dinosaurs was able to eat at T.Rex in Disney Springs, and she even got us last minute reservations at Cinderella's Royal Table and Ohana! She made herself available to take all our questions in the weeks leading up to the trip, and when an issue came up regarding our Magic Bands during the trip, she handled it for us! Nearly six months later, the kids are still talking about all of the fun we had! Sue was great! She made the trip run very smoothly. Planning a trip can be extremely stressful, especially one with this much detail but Sue made it stress free for us! (Susan K.) It was my first visit to disney as well as my girls first! It was very cool to experience that with them. It was truly magical and we loved every part of it! The planning that goes into a Disney vacation to be sure you get to all the restaurants you want, all the rides you want and the right hotel is nothing like I’ve ever seen! We could have Beebe planned this on our own and thanks to Susan K my magical agent for planning it all so perfectly for us! The entire process was amazing and stress free. Susan has exceeded every expectation my family had for the trip. I have raved to all my friends and they will be booking through Susan as well. Susan Kealy did such a wonderful job helping us plan our Disney vacations. This is the second time we have used Susan and she has been exceptional! Her knowledge of places to dine was great. Everywhere she recommended was exceptional. The fast passes she set up for up also worked out perfectly! Can’t thank her enough for everything and would definitely recommend her (Susan K)!!! It has taken me awhile to put into words all that I feel about our Disney vacation. Susan K literally made all of our vacation dreams come true. We don't vacation often, so the stress of planning a "perfect" vacation myself was weighing on me heavily. We had had a rough year, and this vacation took on a whole new meaning for me. My husband and I had never been to any Disney Park, so it was overwhelming to try to plan a vacation we wanted our kids to remember, when we didn't know where to start. My feelings of worry and anxiety vanished when Sue signed on to help us out. I wanted a once in a lifetime experience, and we definitely got it! Sue thought of, and planned, every detail - big and small. She knew tricks to make our trip unforgettable! After only a short conversation and answering basic questions, it was like Sue could read our minds about what we wanted. She was able to deliver on planning every single activity and meal we had wished for. Our two musts-Cinderellas Royal Table and Jedi Training- were achieved all because of Susan's quick planning and little known insider tips. 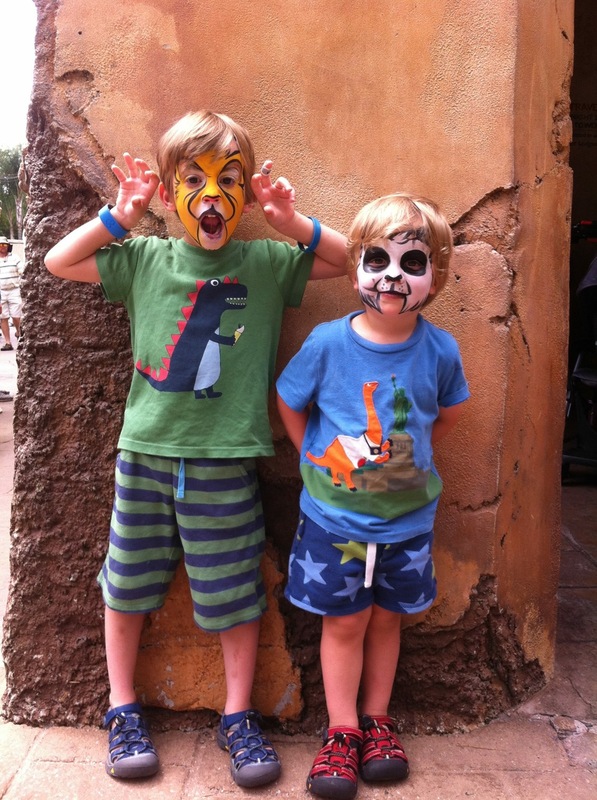 Unforgettable moments (including FP to the hottest rides in town in Pandora, among others) allowed us to enjoy every moment with our kids (8 and 6). From restaurant reservations, to strategically timed FastPasses, Susan somehow knew exactly what to plan to make our trip the greatest time of our lives. We are already saving for 2019 when Stars Wars land opens, and without any hesitation, Sue will ABSOLUTELY be planning every unforgettable moment! I cannot recommend Susan K. enough! 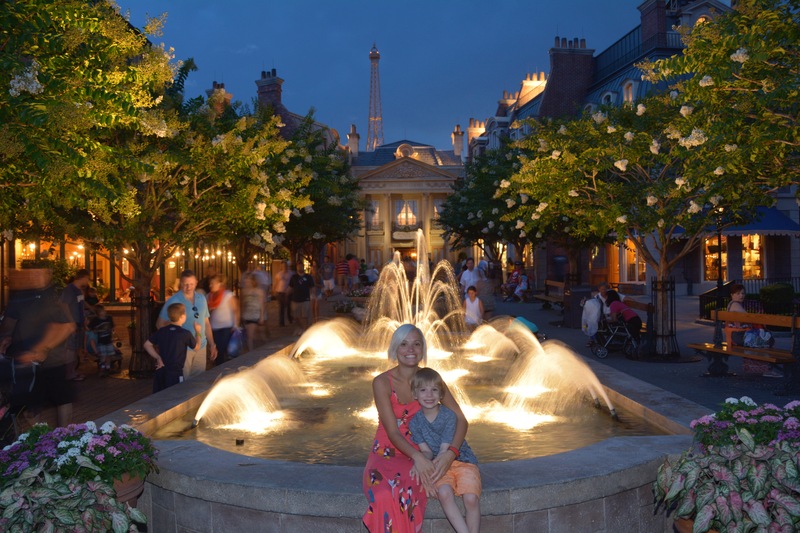 Susan made our Disney vacation completely stress-free! No one has the time to go through all the information that comes with planning a Disney vacation. I will never try this alone again! Plus all the extra touches she threw in made it all feel even more special. Thank you Susan! Sue was an amazing agent. She had great advice and offered suggestions when I needed it. She had all of my requests met and was very organized. I would definitely use Sue again and highly recommend her. We had an amazing trip! Sue K. did an awesome job helping my wife and I plan our family vacation to Walt Disney World in Orlando. She was incredibly knowledgeable about what rides and things would be appropriate, and most fun for my kids (ages 2 and 4). Sue K. was also incredibly patient and understanding when we changed plans. She helped me over text during our trip to help rearrange things. Gave us advice on dinners. Thanks Sue You WILL definitely be planning our next trip to Disney! Which is hopefully soon. Thank you so much, Susan Kealy, for helping us plan our Disney World vacation! It was so wonderful to have a one-stop shop for all things Disney! Susan was a wealth of knowledge about all the things we could want and need during our time at Disney World. From hotel accommodations, park tickets, fast passes, restaurant reservations, Magical Express, everything was taken care of with ease. Susan was very willing to work with us to meet our needs and exceeded our expectations with fabulous customer service! Our trip was so much fun and was totally stress-free because she took care of everything we needed! I highly recommend contacting her any time you are looking to plan a Disney trip! Sue Kealy did a fantastic job helping plan our family vacation. She was able to coordinate 3 separate families wants and needs with ease. Her recommendations from a place to stay; restaurants to eat at; and what rides to fast pass were excellent. Sue answered all my many questions quickly, efficiently and patiently. Sue was never too busy to talk to me and even came to my home to help. Our vacation was wonderful and it is partly because Sue made planning it so stress free. I highly recommend Sue to anyone planning on a Disney Vacation. Amazing! My husband and I cannot say enough about our very first magical vacation to Disney planned by Susan Kealy! Our itinerary was very well organized from the moment we arrived in Orlando until our farewell the final day. During our 5 day trip, we had the opportunity to visit all of the theme parks with virtually no waiting on rides, enjoy special events including the Star Wars Dessert Party and Spectacular, dine at top rated restaurants, fabulous lodging in which we were able to view Magic Kingdom's fireworks from our balcony every night, all while being treated like royalty the entire time. None of this would have been possible without the organization and recommendations from Susan. I had many questions along the way, Sue was always quick and detailed with her response. Susan took the time to learn about our interests and created a truly magical experience we will never forget! We are already planning on returning in 2020 - guaranteed we will be reaching out to Susan for her assistance once again! Sue K. was great in helping me plan an anniversary trip for my husband and I. We both have busy schedules and relied on Sue's help and expertise to help us plan the best Disney World vacation. Sue K went above and beyond to make sure we were happy with our resort accommodations as well as helping us maximize each day with fast pass and dinner reservations. When I book my next trip to Disney I will surely work with Sue again. She had the greatest advice and best recommendations for us in regards to restaurants and what is new and happening in the parks and resorts! Five Stars all day! Thank you Sue! Susan Kealy was exceptionally helpful in planning our vacation . We hadn't been to Disney in close to 25 years, so her assistance was so helpful & took all the anxiety & stress out of the planning. Our dining recommendations were fabulous. She made the trip a huge success. I highly recommend planning a Disney trip thru Sue! Susan was so helpful in helping us plan our first magical vacation to Disney. I had never been to Disney before and had to clue where to start the planning process. It was so nice working with someone that was so knowledgeable about the Disney experience. She helped us find a great place to stay on the Disney property. Susan had helpful tips and even helped us plan the fast passes since she knew which rides my girls would like based on their ages. My one daughter LOVES princess and unfortunately, when we booked the trip, the lunch with the princesses was all sold out. Susan checked every day looking for a spot to open up. We were thrilled when she let us know that one opened and she had grabbed it for us! I had questions throughout the process and Susan was very quick to respond. She checked in to make sure we were prepared before our trip and had our Magic Bands and tags for our luggage. Even when we got to Florida, she checked in throughout our trip to make sure that it was everything that we expected and to see if our girls were having a good time. I would highly recommend her to any friend or family member going to Disney! Thank you, Susan! We loved our Disney Experience! Our incredibly helpful agent, Sue, did an awesome job taking care of her confused/anxious/indecisive/crazy clients!! From the moment I emailed Sue with random questions, she answered promptly and passionately. Her giant heart practically exploded with every Disney opportunity. She made great reccomendations, helped make practical yet fun decisions and calmed every nerve along the way. Even while in Orlando, Sue was attentive and helpful when we needed it. I'm so thankful for Sue and Magical Vacations. We will cherish our Disney memories forever! 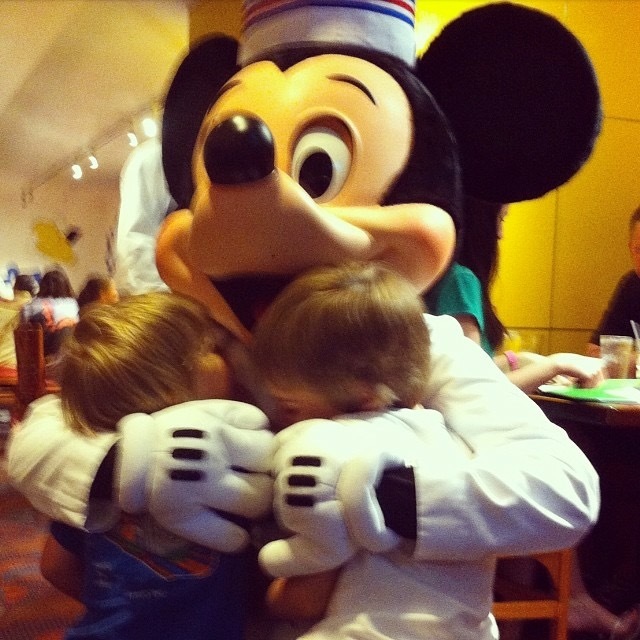 When I thought about trying to plan our first Disney trip with my 6 year old triplets i almost had a panic attack! Then my friend said "no worries, Just call Sue!" Thank God I did! 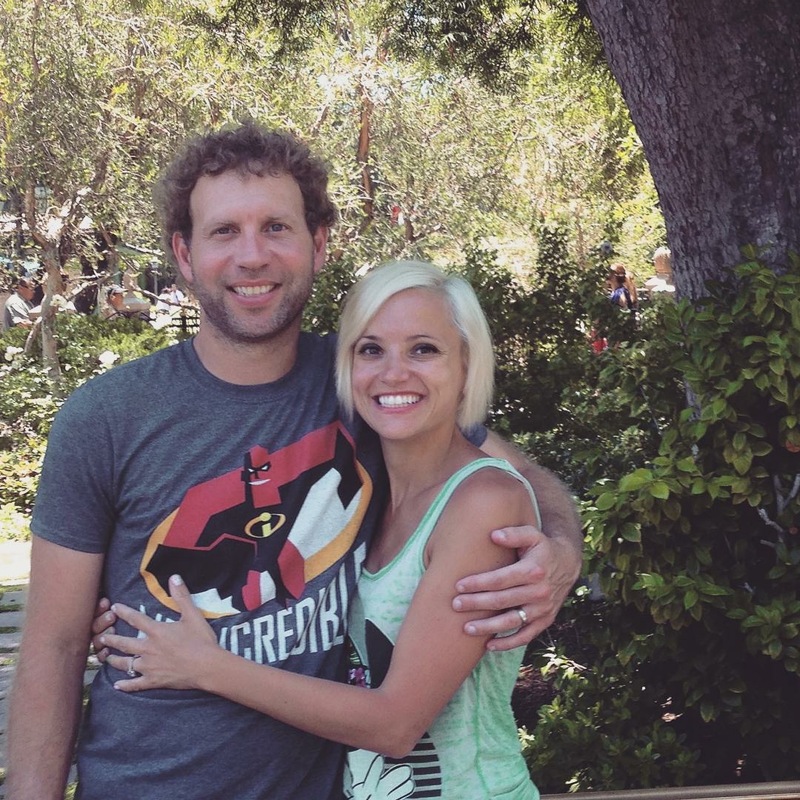 Everything was planned out perfectly and we were able to have a relaxing and perfect vacation! From our stay at the Contemporary to character dinners and fast passes; everything was timed great and kept us on a perfect schedule!! We all felt like we saw everything we wanted and needed to see and do in Disney without being crazy!! Thanks Sue Kealy for a magical trip! In 2016, we planned 2 Disney vacations through Susan Kealy. Both trips were absolutely perfect and well planned. The second trip we did Dec 26 - Jan 1 and even though the parks were busy, our fast passes and meals she planned us were perfect...including times and locations. We could have never done this planning on our own, especially the last trip, as we had 8 people in our group. Sue made sure our fast passes and meals were also geared towards our kids, as they are 6 and under. Also, we booked both trips within one -two months of the actual trip and she was able to get us into some great character meals and rides with fast passes. It was very impressive. She has great attention to detail and was there for all our questions during the planning process and during our trips. When we go back again, we will definitely be using her services again. She is amazing!! Thanks so much for two Magical trips and we can't wait to do it again!! I want to take the time to thank Sue Kealy for a wonderful trip. I have been there many times and this is the first time I didn't do all the arranging myself and it was sooo nice to have everything done without pulling my hair out. I told her what we might like as far as restaurants and fastpasses and before I knew it we had a great itinerary planned. She coordinated fast passes and dining perfectly so the day flowed well. I would recommend her to anyone for her great personality and efficiency. This was out very first Disney vacation and Sue helped us with every little detail! Any time I had a question or concern about the trip or anything Disney she was always available immediately with an answer to all our questions! Sue's recommendations for hotel, parks, food, transportation, fast passes etc were all perfect!! She had tons of suggestions, priced out packages with meal plans, without meal plans, different hotel accommodations you name it! Sue went above and beyond to make sure we have the most magical vacation ever!! 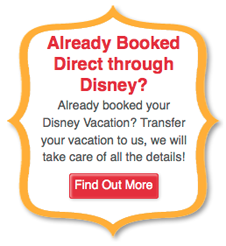 I highly recommend using Susan Kealy's services for your next Disney vacation! Whether you are a seasoned Disney vacationer or a fist time visitor she will make the planning seem effortless!!! Thank you Sue!! You really did make our vacation magical for us!! Sue K. made our trip to Disney an unbelievable experience! Before connecting with Sue, I was unknowingly lost in the world of Disney. We would have missed so much if I had done things the way I had originally planned prior to her help. Sue asked me for the specifics and planned the trip for us in no time. From gifts mailed to us prior to our vacation to the hotel room to our dining package (and there's so much more even!) everything was truly wonderful and saved me so much time and stress. I could not have asked for magical vacation. Thank you, Sue!! I wanted to say a few things about Sue K. She was the absolute best! it was mine and my families first trip to Disney and I was so confused on what to do first, where to eat, etc. etc! Sue made all my anxiety disappear and planned my entire trip! I will definitely be using Sue K. again and have recommended her to many people already! Thanks again Sue!! To everyone I know... if you plan on going to Disney (disney world, land, or a cruise) I highly recommend my friend Susan Kealy to help you plan your trip. First off - she is free!!! Second off- she searches for the cheapest and lowest prices out there! Third off- she books at 5 am for dinner reservations, fast passes, hotel and flight availability! This girl is on it! For my Thanksgiving trip my good friend and I surprised our children with "we're thankful for, birthday and Christmas" vacation. Four kids, two adults- and got to stay in a suite, eat at T-Rex in Disney springs, Disney Jr Play and dine lunch at Hollywood studios, on thanksgiving we had a buffet with character lunch at crystal palace and dinner at Be our Guest in Magic Kingdom, we had lunch with the princesses at akershus hall in Epcot and had the time of our lives. We are now leaving the parks for the last time. Getting up early in the morning to leave by 05:30 cst to drive 15 hours straight home. It was an amazingly planned trip thanks to Susan Kealy! I will surely be using her free services again. She got us into the best restaurants and hooked up with fast passes we needed most. She even answered questions we had on Thanksgiving day. It wouldn't have been as good of a trip without her! I cannot thank Susan K. enough for making our vacation truly magical. From the very beginning she worked with five senior adults with different tastes and different needs and made it all come together. Everything worked perfectly we received our magic bands and a beautiful Minnie box, all our travel documents and everything was a go. She made things so very easy. Our dining plan was perfect. We ate in some of the most magnificent restaurants. We did all the shows and character lunches. Fast passes were there for us. I cannot begin to tell you what a joyous time we had. Sue K planned a trip for a group of 5 independent women . She did work with our group representative who shared our input with Sue. Sue was able to incorporate all our wishes into a well orchestrated vacation. All of our activities were planned carefully. We rarely waited for anything. I kept saying we couldn't of planned this trip any better. Thank you Sue for working with Michelle. You both made the trip magical. I will be contacting Sue shortly to plan a Disney cruise! I can't express how wonderful our trip to Disney World was. Sue did a fantastic job getting us everything we wanted and she was so kind, patient and helpful. Everything went so smooth while we were making all the plans for dining, park hopping, and fast passes. She checked on us to make sure we were having a wonderful time! We had the best time ever!!! Planning to take grandkids in spring. Will definitely use Susan K to plan that trip! Sue K! I can't thank you enough for all of your work! Our vacation was absolutely MAGICAL! You were so organized and planned our trip so perfectly that I was able to just sit back, relax and enjoy the trip with my family! I appreciate your willingness to help us with whatever we needed. Even when we were on our trip our advisor was only a phone call away and helped us with changes we wanted to make. It made life so much easier. I will look back on this trip as one of our favorite memories of all time, thanks to you! I will definitely recommend Sue to my family and friends for years to come! Sue was very helpful! She knew so much which made the planning much easier! Could not have done it without her help, as it was our first trip to Disney! She based her suggestions on our families needs and everything was spot on. Thanks again, Susan! My name is Laura Begani and I am writing to express my appreciation for your travel agent, Susan Kealy. I was overwhelmed at the thought of planning a Disney vacation to begin with, but Sue made the process painless. She helped to book the days, the hotel, but when it came to the meals and the fast passes, she was a wonder. Before we left everything was set but it wasn’t until we arrived and started following the plans that I realized that the entire week had been well thought out to say the least. We enjoyed every meal that we experienced. Sue suggested the restaurants since my knowledge was limited. I say experience because that’s what most of the meals really were; they either included characters, unbelievable food, or a fun quirky theme. At times they included all three of these things. The fast passes were planned to allow us to go on the rides my girls were most excited about. We truly enjoyed this trip even more than I could have hoped for. I would highly recommend Sue to anyone that is going to Disney, in fact I have told everyone I know what a wonderful experience I had, beginning to end. We had an amazing trip! Susan (Sue) K. did an awesome job helping me plan our family vacation to Walt Disney World in Orlando. She was incredibly knowledgeable about what rides would be appropriate and most fun for my kids (ages 2 and 4). Susan (Sue) K. was also incredibly patient and understanding when we changed plans. She helped me over the phone during our trip to help rearrange things. Thanks Susan (Sue) K.! You will definitely be planning our next trip! Sue Kealy could not have been more helpful planning my family's recent trip to Walt Disney World! We were so happy with our accommodations at the Wilderness Lodge! Sue did an incredible job offering suggestions for fun dining experiences and organizing all of our fast passes each day! We could not have planned this trip without all of her help! We loved every minute of our vacation and I would definitely ask Sue to help us plan any future Disney trips! Sue was extremely helpful in planning our vacation. I was definitely hesitant about going through this process but was glad i did it in the end. She was available through phone, text, email just about anytime we needed her. Sue had everything booked perfectly for us. I would definitely recommend her if you are looking for help planning your trip to Disney.